Sponsored Message: The free Hobnob app makes creating and sending invites as easy as tap-tap-send. 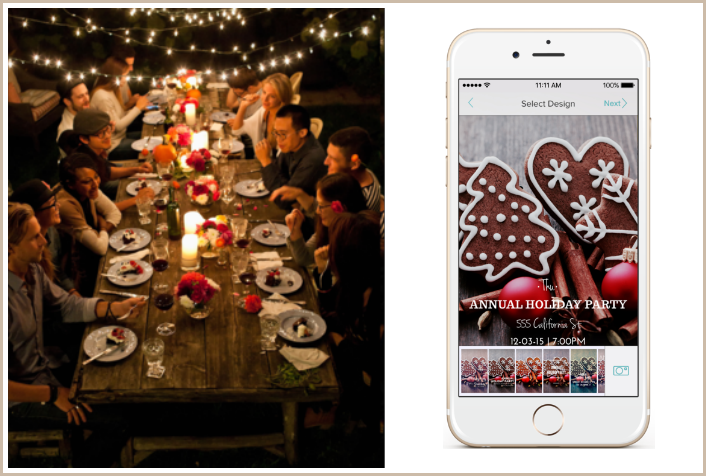 With the holidays right around the corner, the free Hobnob app for iOS makes sending invites to your holiday events, and sharing the photos afterwards even easier. Plus, you could win a $200 Target gift card just for giving it a try! Whether it’s a holiday cookie exchange for your neighborhood crew or a more dressed-up affair for just the grown-ups, Hobnob helps you make impressive, custom digital invitations thanks to lovely designer templates personalized with your own favorite photos. You can even send your design, complete with all the important event details, straight from your phone to your guests in under a minute. 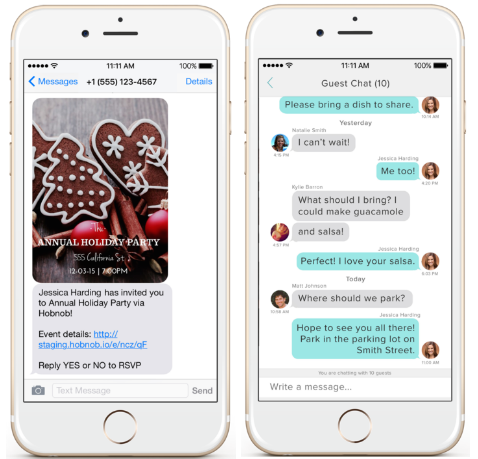 Your guests will be able to RSVP, get updates, receive driving directions, sync to calendar, and weigh in on group chat all via text. They don’t even need the app themselves. It’s truly fast and effortless for you and your guests, and making things easy for your guests definitely makes you a winning host. Holiday season is busy enough. Let Hobnob handle some of your to-do list. You worry about things like whether you want to serve the peppermint hot cocoa or the gingerbread one. Special Offer: Let Hobnob give you $200 towards your holiday party needs! Create a real or sample Hobnob invite and share it on Instagram to be entered to win a $200 Target gift card. To be entered, posts must tag @hobnobinvites and #hobnobholiday. One entry per person. Contest ends 11/20/15. For full details about the Hobnob contest rules, head to their contest page. This is a sponsored message on behalf of the Hobnob app, which you can donwload free on iTunes.